The Royal Treatment Center (RTC) is dedicated to eliminating your lice infestation and educating the community on the use of safe and effective lice treatment methods. We are certified and use the Shepherd Method™ for effective lice and nit removal. We do not use any harmful chemicals and understand the feeling of desperation and how alone you feel. Our goal is to help keep your children in school and not have to stay awake worrying about Head Lice! The Shepherd Method is a strand by strand approach to ensure all visible nits are removed. We remove the infestation during the treatment process, but returning to the same environment can put you at risk again. The treatment process includes 2 follow-up re-checks. They are encouraged in an effort to keep you lice free. We are the Helping hands to get and keep you “Lice Free”. 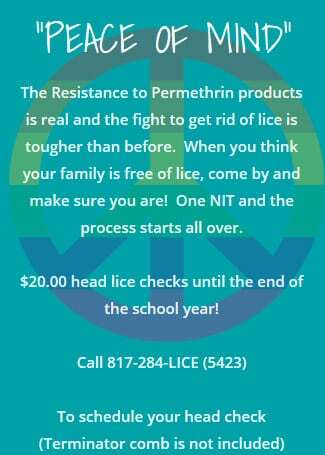 Our goal is to participate and educate the community on the real facts of lice. We are excited to share this knowledge and love to do parent education and community awareness presentations. Our team is available to do classroom head checks, assist in checking the entire school, and pre-camp checks as well. Contact us to discuss how we can partner with you! We are insured, certified, and confidential. 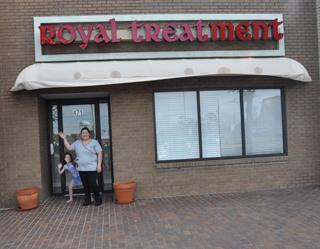 The Royal Treatment Center focuses on the family and the emotional process everyone is experiencing. We provide a comfortable environment for everyone; bright treatment rooms and play area for anyone who is lice free. We have a vast selection of DVD’s in our treatment rooms. We also add an element of reward upon completion of the treatment – we invite whomever in the family wants to participate to add their handprint to our collection of helping hands that decorate our walls. Together we will educate and make this experience as positive as possible. We answer 24 hours call us to make your appointment!!!! © 2018, The Royal Treatment Center. All Rights Reserved.